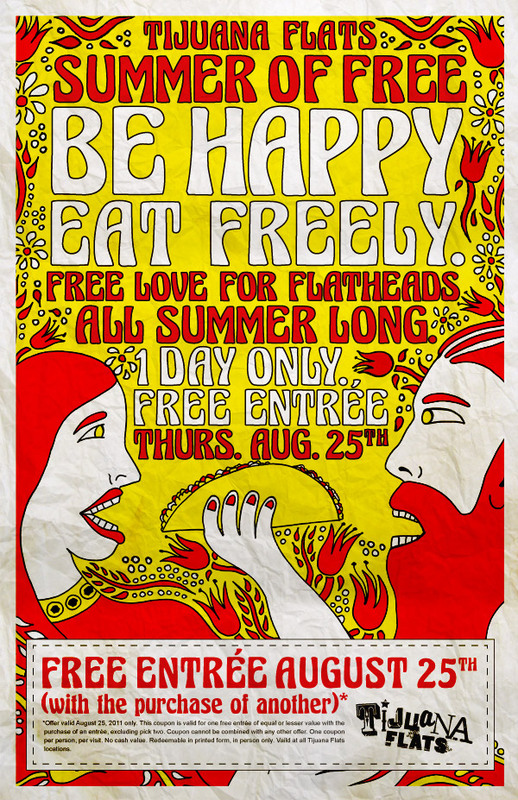 Thrifty and Frugal Living: Tijuana Flats Buy One, Get One Free Entrees (08/25)! Tijuana Flats Buy One, Get One Free Entrees (08/25)! Flatheads that are also night owls like myself are planning their meals and path of attack for yet another BOGO Thursday at Tijuana Flats! I personally like to be there when they open at 11am for a cheap (and not quite as busy) lunch on BOGO days. To become a Flathead, go here and sign up (it is easy and definitely worth it. They rarely send emails unless they are BOGO or other coupons). If you still have not signed up (shame on you) and you want to participate in today's freebie, you can print the coupon here. If you are a newbie and need a recommendation: Carnitas Chimichanga wet with Chipotle sauce is the way to go in my opinion. Enjoy!